Neopets is always fun, no matter what time of year it is. There is always so much to do throughout the year, but during “The Month of Celebrating” life in Neopia just gets a little better. The community and the all-around feeling of togetherness is spread out and really felt within. Here are a few reasons why Neopets is so much better during “The Month of Celebrating”. Every year on December 1st the Advent Calendar kicks off and the Winter Starlight Celebration is here. Neopians come together around the Advent Calendar, in which they visit each day for free prizes, and the awesome and adorable animations that TNT works so hard to put together. These new prizes range from food to feed your pets, toys for your pets to play with, books for them to read, even wearable clothing items to get them in the celebrating spirit, and so much more. “The Month of Celebrating” is a great time to meet other Neopians by chatting on the Neoboards. People come together, support one another and spread holiday cheer. The best part of chatting during the season is that you get to show off your seasonal avatars and fonts. If you can remember to visit the Advent Calendar each day, you even have the chance to earn two secret avatars at the end. In addition, it’s also a great time to sport your seasonal site themes. You also have a shot of earning the awesome Winter Holiday site theme by visiting the Advent Calendar each day. What better way to get into the holiday spirit? Have you ever had a dream that you could wake up every morning and have a new NC item in your inventory? Do you and your pets love dressing up in the best holiday wear ever? Well this is the event for you. Every year the TNT’s NC Content Team puts together this annual 25-day NC event starting on December 8th! For this you purchase tickets, hang your stockings the night before, and every morning when you wake up, you get a new surprise item with a holiday/winter theme. These items are often coveted and cherished for years to come by Neopians everywhere, and are bound to leave your pet looking super snazzy throughout The Month of Celebrating. Every Neopian has that one dream pet that seems impossible to get. The Paint Brush may cost millions of Neopoints, or perhaps it has to hatch from the Special Egg that is very hard to come by, and who can afford those super expensive Morphing Potions? But once a year, TNT grants some extremely lucky Neopians the pet of their dreams on the “Day of Giving”. All you have to do to enter is visit the Neopets Holiday Dream Pet Giveaway page, choose one of your pets from either your main or one of your side accounts, and then select the species and the color you would like your pet to transform into. It doesn’t matter what your pet looks like now, if you are chosen, you will wake up in the morning to the pet of your dreams. Unfortunately, unconverted Neopets are not eligible for the Holiday Dream Pet Giveaway; all winning Neopets must be in converted form. Forty winners are chosen each year in total. It’s just plain awesomesauce! The Day of Giving has to be one of the best reasons that The Month of Celebrating is so wonderful. Friends, family and strangers are the most giving. During the chilly months, it’s hard to think of something better to do than to curl up with a nice cup of Borovan. If that’s your idea of fun during the holidays, every 20th of December is your day. All of Neopia comes together to celebrate Borovan Day with a nice cup of Borovan, and some stalks of Asparagus. Why asparagus, you may ask? It’s just tradition! Borovan Day began long ago, when Neopians everywhere decided to honor the great Borovan. Nobody actually really knows exactly what Borovan is, but we just drink it anyway. So save your cup of tea or coffee for another day and just enjoy your Borovan! Are you sick of that awful Snowager blasting your pets? Well during The Month of Celebrating, he goes into hibernation. During his hibernation everyday this month you can steal one of his treasures without the fear of getting blasted. Even though that elusive avatar isn’t available during The Month of Celebrating, the free prizes make up for your sadness. Although The Month of Celebrating has come to an end, it is time for the New Year. With the New Year here, it is one of the most exciting times in Neopia. TNT has a ton of new stuff in stock for us during the upcoming year, from new events, new NeoCash items, to new pet colors and art. You never know what’s coming next! 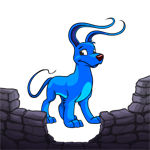 If you call yourself an NCer, you will know that the New Years Caps produce some of Neopet’s coolest backgrounds. New Years in Faerieland, Shenkuu, and all the rest make a great addition to your collection… if you’re lucky enough to open a cap with them included, that is! 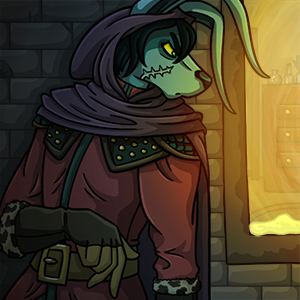 No matter what your favorite thing to do on Neopets is, the New Year promises to bring something good for everyone. 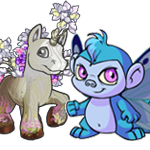 It’s always so exciting to have something to look forward whether it’s traditional Neopets events or something totally new to Neopia. Neopets never disappoints. In conclusion, “The Month of Celebrating” is just all around a good time! So just sit back with your cup of Borovan and enjoy the rest of The Month of Celebrating, because it only comes once a year!